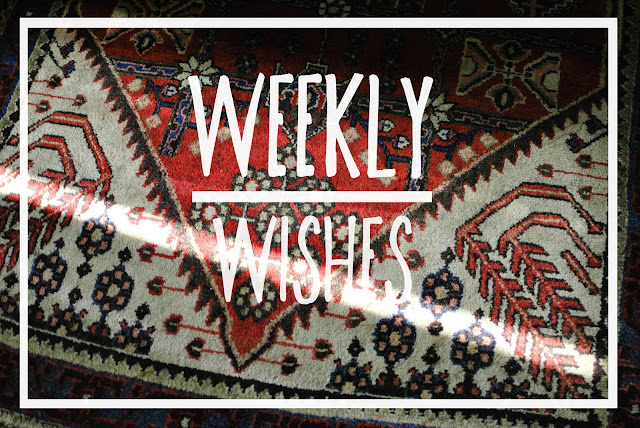 Here we are with week 2 of Weekly Wishes! I really loved doing this last week and am excited to see what this week brings. For those of you who missed it last week, you can read my week 1 wishes here. Also, just a reminder of what this is all about: Weekly Wishes is a link up hosted by Melyssa of The Nectar Collective, that is meant for us to share our goals and wishes for the week, and then to connect with and encourage other bloggers. Pretty cool, right? - Make new friends in the blog world. I sure did! This link up helped me to meet new bloggers and it was great. I really felt encouraged in these goals, and loved leaving encouraging words for others. 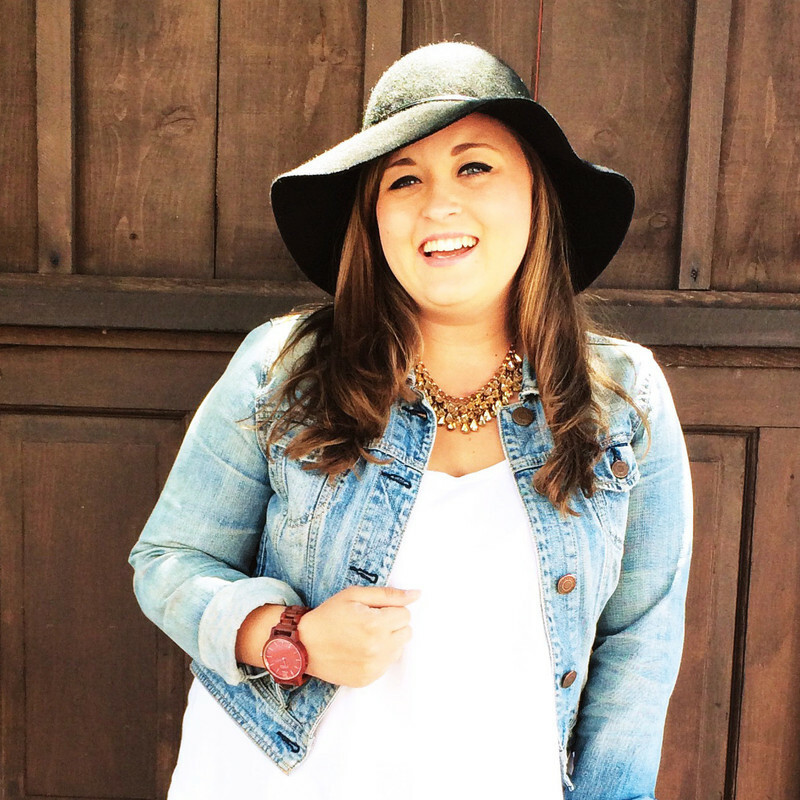 I have recently been talking with Abby of Little City Adventures and we are going to be teaming up hopefully soon to do some cool stuff for our blogs. I used Twitter a ton more than I usually do (which is never), and that made it so easy to talk more regularly with other bloggers! Melyssa and Erika have been especially sweet. - Make some decisions and tie up lose ends for my work situation this fall. Check! I was offered a new job that I was hoping would work out, and was able to have an open and understanding conversation when I told my previous job that I would not be returning after the summer. Conversations like that are often hard to have, but it went really well. And a weight has been lifted now by knowing what will be going on for the fall! - Take Marly for walks every day during the week. This unfortunately did not happen. I ended up having to stay inside most of the time because I got really awful bug bites and didn't want to take any chances of getting more. Thankfully my legs are finally looking better and hopefully I won't have any scars. Plus, over the weekend, I was in Austin and had to leave Marly with my cousin! - Spend time reading every day. I really wanted to do this! But somehow, I just didn't. I am pretty bummed I didn't do this one, but oh well. Only thing I can do is try to do better this week. Blogs totally count though, right?! - Finish writing a difficult letter to someone. Sometimes I just have some things I need to get off my chest and I am not always the best at expressing myself in person. So a letter it is! But other times, it is hard to force myself to write about these types of things. I must complete it this week though and I hope it is well received! - Send some photos off to people, like wedding photos and portraits. Anyone know a great way to transfer large amounts of photos to someone? Dropbox hasn't been the best for me, and I have to use several discs when I go that route. Help! How do all these professionals do it?! - ENJOY my last week in Texas! Exactly a week from today, Marly and I fly back to CA! I can't believe how quickly this summer has gone. We have to make the most of the last of our time here, like going to the rest of the places we want to go to, spending time with family, and finishing Orange is the New Black on Netflix because my aunt and uncle and I are hooked and it just wouldn't feel right to finish it without each other, you know what I mean? On an unrelated note, happy birthday to my special guy, Dai! Have a wonderful day and I can't wait to celebrate when I get home!!! Good luck with that letter! I know what you mean- I am so much better at expressing myself in writing, and when I have a lot of really important things I need to get off my chest, I will write to the person I need to communicate with. I hope yours is well received! Congrats to the new job offer!! And I hope your letter goes well! I think writing is so great in that way -- in helping us to express what we truly mean so that it doesn't get lost in the emotional complexity of being face-to-face! You could try putting them on a flashdrive? Nowadays you can get like 16 GB for not too shabby of a price? That might work? Hmm, maybe some pro sites have a tutorial or something? Also, I have a "blogger" blog and I have been LOVING disqus! I was afraid it might be a beast to install, but honestly, it was like two really simple steps and I haven't looked back! Interaction has increased for me with sites with disqus (including my own). I'd recommend it! And yay for your last week in TX! :) Woohoo! Enjoy!